PALLE SIERRA TIPPED MATCHKING CAL. 22 69 gr. PALLE SIERRA TIPPED MATCHKING CAL. 30 125 GR. PALLE SIERRA TIPPED MATCHKING CAL. 30 168 GR. PALLE SIERRA TIPPED MATCHKING CAL. 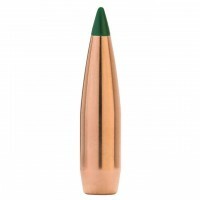 30 175 GR. PALLE SIERRA TIPPED MATCHKING CAL. 30 195 GR. PALLE SIERRA TIPPED MATCHKING CAL. 6,5 130 GR. PALLE SIERRA TIPPED MATCHKING CAL. 6mm 95 GR. 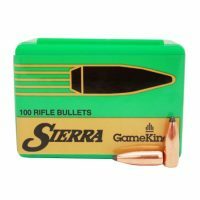 Sierra bullet gameking cal. 22 55grs.